I finally got my act together to join up with Kendra's fun Answer Me This! link up. It's my first time and I'm happy to be a part of it. I won first runner up in a beauty pageant once, which is actually losing so maybe this doesn't count. I won it by being awesome, but not awesome enough. Some cards I do keep. First birthday cards for the kids, very touching ones, ones from my husband, and the ones my friend Katie makes. Her cards are like folk art. I kept a bunch of letters from my nun friends when they first entered their religious communities but lately I haven't had to, even though I still have the box of the older ones under my bed. I don't like keeping things but some things I do want to hang on to for sentimental reasons and because I want my children to be able to decided in a card from their great grandparents is precious or not. Barefoot almost always, though in winter I may keep my socks on if I'm going to be running in and out. If I'm not leaving the house all day socks are never going on my feet. I'm not sure. I met Davy Jones from The Monkees, JJ Heller, and Audrey Assad. And Marie Miller. I met authors Dave Eggers and Michael Chabon. I know artist Jude Landry. In the Catholic world of celebrities I've met Fr. Andrew Apostoli and Teresa Tomeo. Via phone call I've "met" Patrick Madrid and Simcha Fisher. 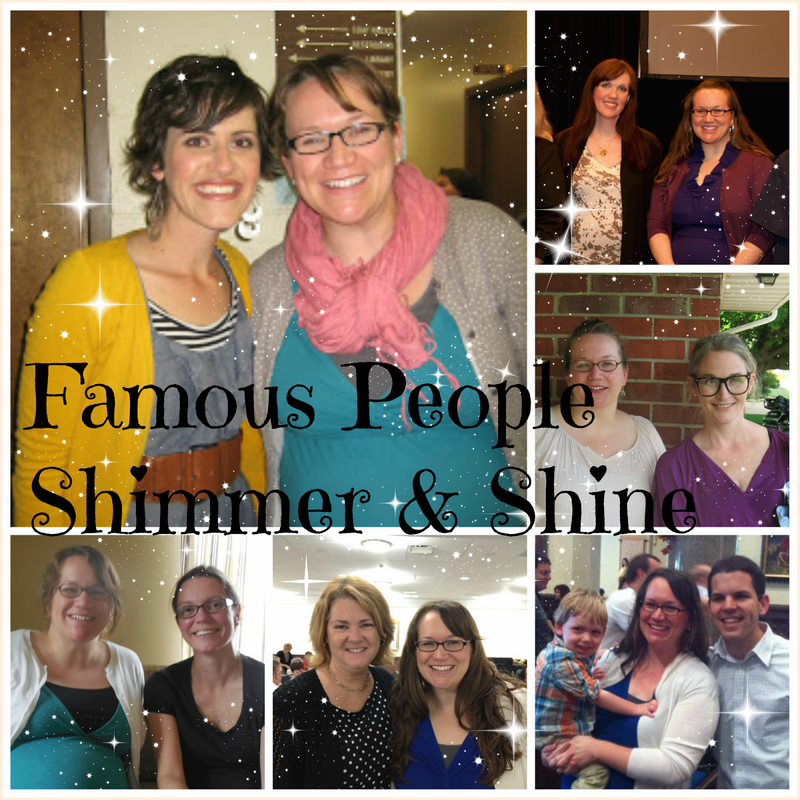 I've met Jennifer Fulwiler, Hallie Lord, Danielle Bean, Lisa Hendey, Brandon Vogt, Kendra Tierney, Kelly Mantoan, Sarah Babbs, and some other blogger celebrities. I think that the most famous of those people will all depend on who you are and what your background is. For me, I would LOVE to meet Fr. 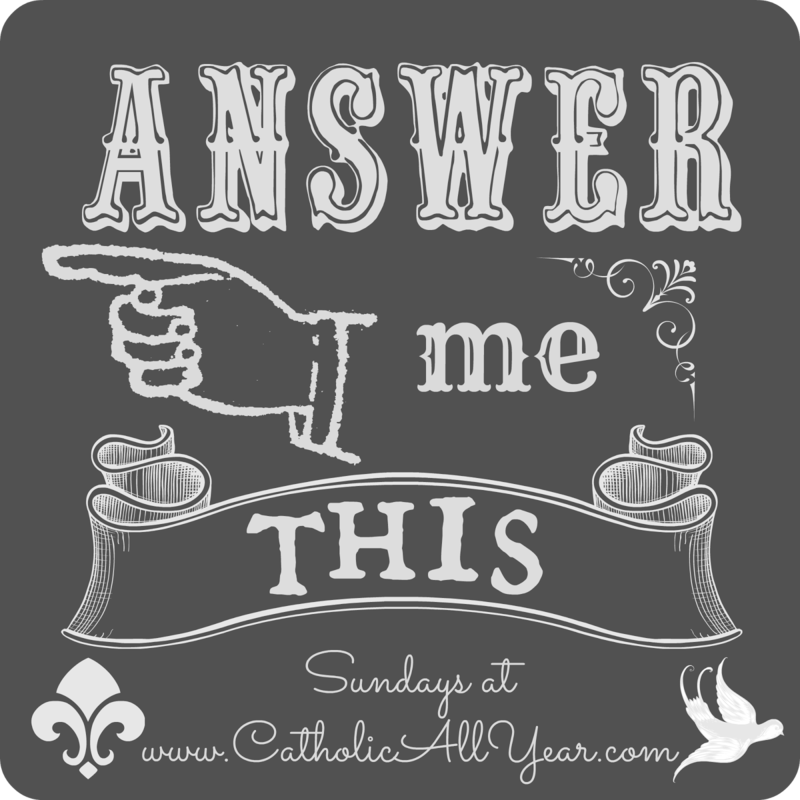 Robert Barron, our two popes, Jimmy Fallon, Stephen Colbert, and the entire Hensley family (so dad the theologian, son the pianist, daughter the blogger and YouTube sensation, and mom who probably is the one doing all the heavy lifting). I don't consider myself artistic and I'm mediocre at a lot of what I do. Which is my way of saying, I don't have an answer for this question. Take, for example, this dinner roll. You can't let formed rolls rise overnight or they'll fall and look like an old woman's upper arm. Bonnie! I'm so glad you linked up! I had you tagged for next week, but then I remembered that you'll be all fancy pants hanging out at Edel. So I didn't. You've Won Second Prize in a Beauty Contest, collect $10 is my favorite Monopoly card. And it's YOUR real life! Your description of the dinner roll photo is hilarious! Haha yes! My mom is going to adore this! I was just talking about #2 in a decluttering group. Most of them I throw away. I do have a photobox of cards/postcards I keep ones I really like in. Um you totally deserved to win a beauty pageant, there needs to be a recall on that one! And I love that you keep cards from your husband, I do that too.